You are here: Home / Photo Booths: Passing Trend or Here To Stay? Photo Booths: Passing Trend or Here To Stay? 1. 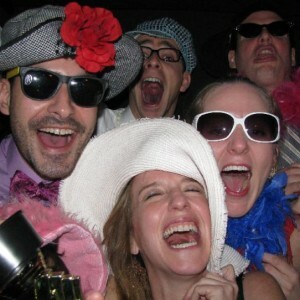 Fun: Guests have a great time squeezing in front of the camera and hamming it up with friends and family. Brides and grooms love the silly personality that shines through when guests are given the freedom to snap their own photos. 2. Affordable: Renting a photo booth is a relatively cost-effective way to entertain your guests and ensure that you capture photos of everyone during the reception. 3. Thorough: Regardless of how great your photographer is, it’s pretty unreasonable to expect them to snap a smiling photo of every single wedding guest. Photo booths are an excellent way to have a memento from every person who attended your special day. 4. Unique: Photo booths are a clever way for your guests to leave a message for you as the happy couple. By creating a scrapbook of photos or allowing guests to write messages on the strips, you get a meaningful reminder of everyone who celebrated alongside you. 1. Overdone: Because the photo booth is growing so rapidly in popularity, chances are that at least a few of your guests will have seen it before. Some of the appeal is definitely lost when yours is the third wedding in a year where certain guests have posed for a photo booth. 2. Boring: There’s only so many ways a guest can pose when crammed into a tiny booth. After a while, looking through filmstrip after filmstrip can become a bit monotonous. VERDICT: We predict that the rise of Photo Booths 2.0 will be the growing trend in future weddings. What’s Photo Booths 2.0, you ask? Instead of renting a classic photo booth, create your own for guests with colorful backdrops, hilarious props, and more space. Corner off a section of the reception site for your makeshift photo shoots and either install a camera that can be powered by a remote or position a photographer at the spot. Let guests pose with fun and creative props like hats, mustaches, mini chalkboards for messages, and empty frames. 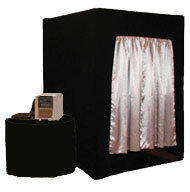 It provides you with all the pros of renting a photo booth with an exciting, fresh twist. 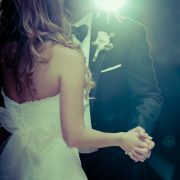 Chicago Wedding Blog https://chicagoweddingblog.com/wp-content/uploads/2014/03/Chicago-Wedding-Blog.png Chicago Wedding Blog2010-09-09 13:05:462010-09-09 13:05:46Photo Booths: Passing Trend or Here To Stay? subject, but you seem like ƴou know what you’re talking about!